Uniform in schools instill a sense of pride and dignity in all the students starting from the primary classes to the secondary. Students feel a special pride in their school uniform that makes them feel confident and enables them to hold their heads high. They learn to respect the uniform of their school and also earn the responsibility of maintaining the reputation of the school intact with proper behaviour and discipline as well. This begins in childhood and develops with age, so that this character trait remains with them throughout their lives. 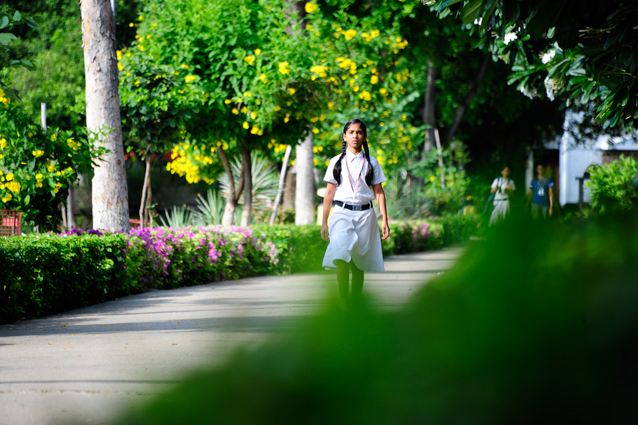 At SVIS, students wear a neat and well-presented uniform which reflects well on the school’s discipline policy. Our school’s purpose is to instill a feeling of oneness and remove barriers. The School closes for a short break for Dusshera and gives two long breaks in winter and summer. However, students appearing for the Board Exams will have special classes during the vacations. The exact dates of Dusshera, winter, and summer breaks are listed every year in the school calendar of events and are subject to change. The year planner duly listed for every year is available on the website, giving an insight on the holidays and events to be held in that academic period. We ensure transportation for all the day-scholars who commute from different areas in Tirupati. Buses are provided on a convenient basis. We provide a fleet of buses for the school students. The games programme is designed to encourage all children, from the keenest to the least athletic, to enjoy games and physical exercise. The excellent facilities and the diverse skills of our large staff, enable us to offer a rich variety of sporting and recreational pursuits. Able players are given every encouragement by the expert coaches and opportunities to compete at the highest levels. Many children may never be stars on the cricket pitch or the tennis courts, but they are encouraged to enjoy participating and discovering other activities. Yoga and Meditation is to help and gain inner strength, concentration and self-discipline. Gymnasium is also available for the students. NCC: SVIS had started NCC for the students from the academic year 2014-15 onwards. The training classes are conducting in the school campus by the Commanding Officer, Air Sgn (T) NCC, SV University, Tirupati. MUSIC: Music is one of the best way to express the feel. It motivates the mind and gives pleasant environment and entertains the students by healing the mind Music is ocean. language is no barrier for music here in SVIS students learn songs in multiple languages and experience the specialty of different cultures of music Here in SVIS students get in touch with Carnatic music/western music and instrumentation. DANCE: Dance is a form of expression of thoughts. It is one of the ways to relax the mind and body. It enhances the power of seeing, hearing and listening. When we associate dance to education in school, the student’s concentration is manifold increased And also their mind and body gets refreshed and relaxed thus increasing their overall performance. 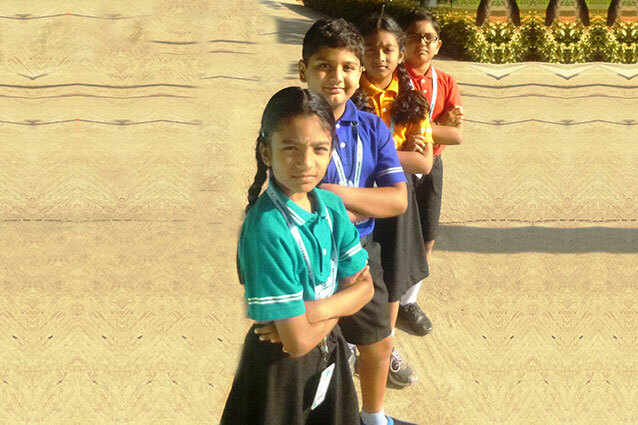 Dance forms like classical, folk and western are taught to the students at Sree Vidyanikethan International School. ART: Art as a creative work at SVIS, students exhibits their passionate world by using colours, pencil shades and oil paintings effectively Art skills enables the students thinking capacity and brings out the imaginary perspective and creativity in each student. CRAFT: The School closes for a short break for Dussehra and gives two long breaks in winter and summer. However, students appearing for the Board Exams will have special classes during the vacations. The exact dates of Dusshera, winter, and summer breaks are listed every year in the school calendar of events and are subject to change. The year planner duly listed for every year is available on the website, giving an insight on the holidays and events to be held in that academic period. and choices individually. Students are taught to develop healthy reading habits from a tender age. Special care would be taken to train them as to how to choose good books and how to make the best use of what they read. The Library is accessible to all age groups of children on a shift basis for not less than 15 hours a days, including on some of the holidays thereby giving plenty of opportunity for the student to spend his/her leisure time more gainfully. We believe that the science of today is the technology of tomorrow. Science is a way of thinking much more than it is an embodiment of knowledge. To ignite the young minds with a scientific temperament, the Science Symphony was conducted by Sree Vidyanikethan International School for the year 2017-18. The action-packed day was held on 1st December 2017 at the Sree Vidyanikethan International School campus. Honorable Chairman Dr. M. Mohan Babu graced the occasion and inaugurated the fair at 10.30 am. The Chairman was accompanied by the moral strand of Sree Vidyanikethan Educational Trust Sri T. Gopal Rao garu, Directors, Deans, Administrators, Heads, Principals of sister Institutions of Sree Vidyanikethan Educational Trust. Later the displays were opened for the invitees, students and parents. The exposition of the displays received special accolades from the Chairman and the Special Officer. The students mesmerized the dignitaries and the invitees with their creative and spell binding demonstrations. The exhibits were from streams of Science including Physics, Chemistry and Biology. Incorporating interdisciplinary learning helps the students to coordinate their subjects, which was showcased in the form of their projects and exhibits in Social Science, Mathematics and as well as in Information Technology. The splendid presentation of the students’ skills would have been impossible without the surveillance of the Principal Mr. Keiran Eugene Rigney, Vice Principals and teachers. It was a total coordination of the whole staff to formulate the day in a grand way. All great scientists’ dreams were realized in their school days. Hence, the science symphony is obligatory in schools to give a platform for the aspiring boffins to divulge their latent potentials. There were around 250 participants from all streams of sciences, who captivated the interest of the audience with their attention-grabbing exhibits. The children demonstrated their exhibits with a lot of pleasure and enthusiasm. All the dignitaries and the parents could sense the zeal of creativity among the students. A Student Council Body (SCB) is a group of students elected by their fellow students to represent all students in the school. SCBs work democratically to represent the student body in school decision-making and organize ways for students to participate in school life. The role of SCB members is to promote the views of students and to encourage students to become actively involved in their school. Students can have their say on a wide variety of issues for example, school uniform and aspects of school life to participating in the development of school policies. Student Representative Councils are based on a committee structure with some students elected to positions such as Head Boy, Head Girl followed by Cultural Head, Discipline Head ,Sports Head etc .There are also Four Elected House Head Boy and Girl to represent each house Anjana(RED) ,Garuda(YELLOW) ,Sesha (BLUE) and Simha (GREEN). School SCBs provide participation and leadership opportunities by asking for input from peers, holding open meetings where all students can personally voice their opinions and by holding special fun or themed activities/events in which students can participate. An awareness campaign, using items such as posters, pamphlets and speeches to stress the aims and achievement of the SCB and the need for responsible voting. Compiling information sheets on candidates, including photos and lists of their school based interests, which can be displayed and distributed. students who would make good leaders being lobbied to stand for election. Former SCB students talking to students. Speaking at school assemblies and highlighting the SCB as an active body that is valued and respected by the whole school community. Across school SCB forums might focus on local issues and issues arising from school forums. In the year 2017 under the able guidance of our Principal Mr.Eugene Rigney students raised the money through the school’s ‘Jeans for Charity’ program, which allows the students to donate money in exchange for the option to wear jeans for an entire day. Sree Vidyanikethan International School has committed to provide programs and services to individuals in the Rayalseema Region with intellectual , developmental disabilities and their families for more than 25 years. SVIS has been protecting and caring for kids from fragile families for more than 25 years. SVIS is thrilled with the generous donation from the staff and students. ‘World Kindness Day’ was celebrated in Sree Vidyanikethan International School on the 13th of November, 2017.Under the able guidance of Mr Kierane Eugene Rigney, Principal of Sree Vidyanikethan International School, Garuda House mistress, Mrs. Sreerupa Dutta initiated a program called World Kindness Day. Teachers and students of Garuda House enthusiastically participated in the program. The program motivated the students to bring in unused and pre-used clothes, toys, note books, story books, pencils, crayons, erasers, umbrellas and shoes that could be distributed to the needy. This had an overwhelming response. They had packed eight cartons of clothes, four cartons of toys, two cartons of books, another one carton consisted of pens, pencils, erasers, shoes and umbrellas. On 11th of November 2017, they visited ‘Manovikas Kendra, Tirupati, a center for mentally retarded and physically challenged children with these cartons. The center is run by a self-supported and dedicated gentleman, named Mr. Murali. Teachers from Garuda house, accompanied by Vice Principal of the school, Mr. Adam Russels and the ESL teacher, Mr. William Paul Black from Ireland, and students of class XI of Garuda House visited the organization. The students from class VII C, X A, B, C, XII B and IX A volunteered to co-ordinate the program and were passionate towards the cause. This visit to the orphanage truly sensitized the students who now pledged to help the underprivileged in the future as well. In extension of this program, World Kindness Day -A Special Assembly was held on the 13th of November, 2017. The student of class XI, Master Viswak shared his humbling experience to the school, followed by a talk by the Vice Principal, Mr. Adam Russels on the importance of kindness in the life of students. Sports play a vital role in the physical and mental growth of a child. It helps in shaping one’s body, mind and soul. Sports provide the best possible and balanced schedule in the life of the students. At Sree Vidyanikethan, Sport is given greater prominence. Students involve in team sports learn to cooperate, coordinate and dwell in this competitive world. The school has sports arena with international standard, which facilitates the children to demonstrate their skills at a greater level. They are trained by skilled coaches from various parts of the world. The Inter-house and National Level competitions organized by the school promotes the students to take the bull by the horns to win. Their ardent effort has brought laurels to the institution. Co curricular Activities give the students an opportunity to develop exceptional skills and exhibit their non-academic abilities. It complements the curricular activities and grooms the students to lead a confident and independent life. It aids in shaping the future of the young minds by acquiring life skills which is the need of the hour. At Vidyanikethan, students hone skills which are a prime need of striking a balance between syllabus, curriculum, books and also co-curricular activities. Students enthusiastically participate in various clubs like Music, Dance, Art, Craft, Literacy, Math, EVS, Calligraphy and Photography. Inter House competitions like Debates, Elocution, Spell Bee and Quizzat add a spark to the progress as students gain true and practical experiences by their own learning. The core aim of the institution is to foster all round development of a child, and prepare them to step in confidently into this challenging world. Indian International Model United Nations (IIMUN) is a school of leadership and one of the World’s largest education conference management brand having organized the World’s Largest MUN Conference in Mumbai amongst many other conferences. It also became the first organization to conduct full-fledged MUN conferences inside United Nations Headquarters in New York. Being a conference of the youth, for the youth, and by the youth, it is run completely by students in the age group of 16-25 years. It has its operations in 160 cities in India and 22 countries globally. It is guided by its 14 Board of Advisors who are pioneers of their respective fields. It is a movement to unite nations by making the youth of the world become global citizens. Sree Vidyaniketan International School (SVIS), Tirupati has pioneered in conducting the IIMUN Tirupati Chapter – I from 29 Jun 18 to 01 Jul 18. SVIS invited schools in and around Tirupati region to participate in IIMUN. Over 100 students from SVIS and other schools (Chinmaya Vidyalaya, Edify School and Rainbow School, Nellore) participated in the conference. IIMUN team from Mumbai, led by Mr Pratik Dawre and comprising of Mr. Mayank Jain, Ms. Kushi Parikh incorporated significant training in the MUN skill set for all who are new to MUN, which simulated the work of United Nations and included the use of diplomatic language during debate and formulating resolutions. The conference promoted student leadership, for experienced delegates, from all participating schools and delivered a highly professional student run conference featuring various committees viz. UNSC, WHO, International Press, Loksabha, etc. Mr. Kierane Eugene Rigney, Principal SVIS and various dignitaries witnessed the opening ceremony and enlightened the young delegates with their wisdom. It was an honour to have Prof. Ganesh, Director, IISER Tirupati as the Chief Guest for the occasion. He emphasized on generation of electronic waste and its disposal for a safer environment. For the delegates of SVIS, it was an enriching experience as they won a total of 13 awards including the much coveted Overall delegation award.